Favourite colour to wear this season? RED. 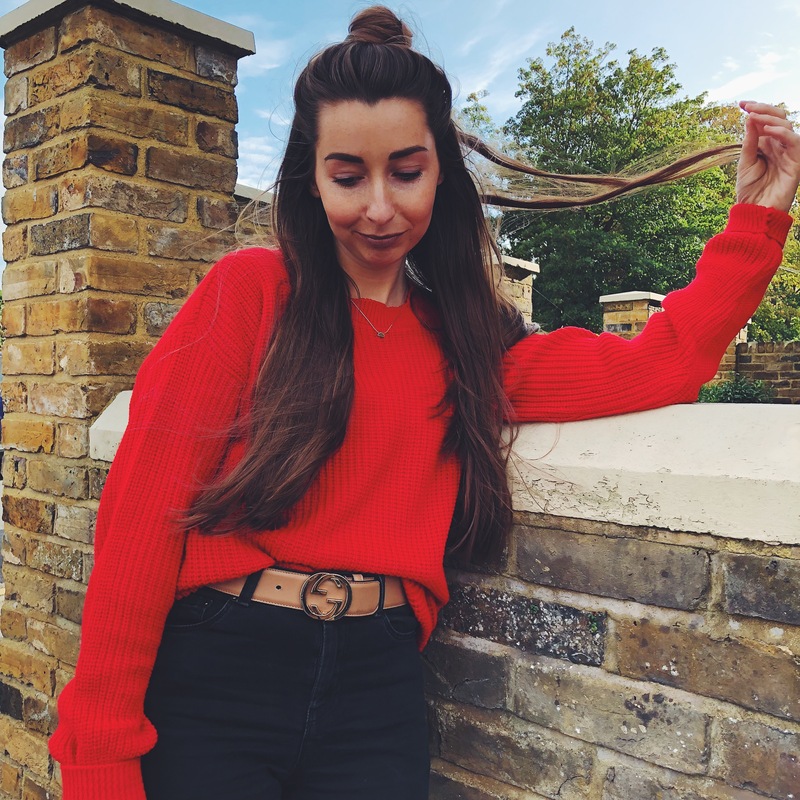 Favourite items to wear this season? KNITS. So, combine the two and I’ve got complete and utter perfection! 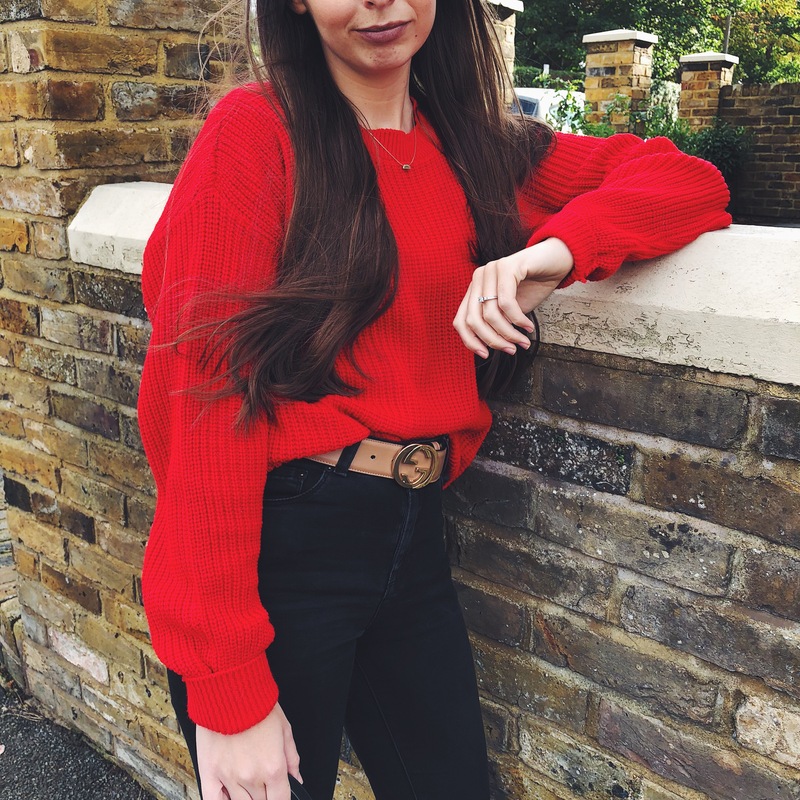 Here is a guide to my top 5 red knits on the high street right now! 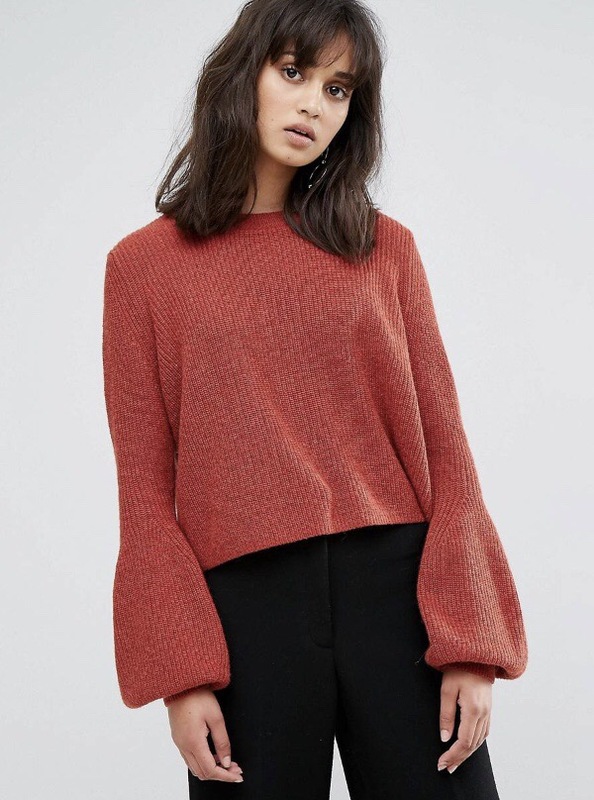 Topshop Ribbed Asymmetric Funnel Jumper, £39, shop here. Weekday Cropped Knit with Balloon Sleeves, £45, shop here. ASOS Bobble Stitch Knit Cardigan, £30, shop here. 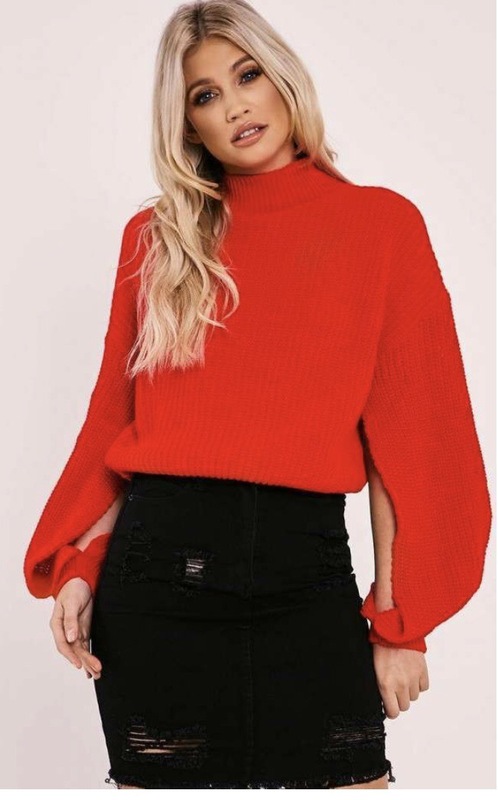 In The Style Narissa Red Split Sleeve Knitted Jumper, £25, shop here. 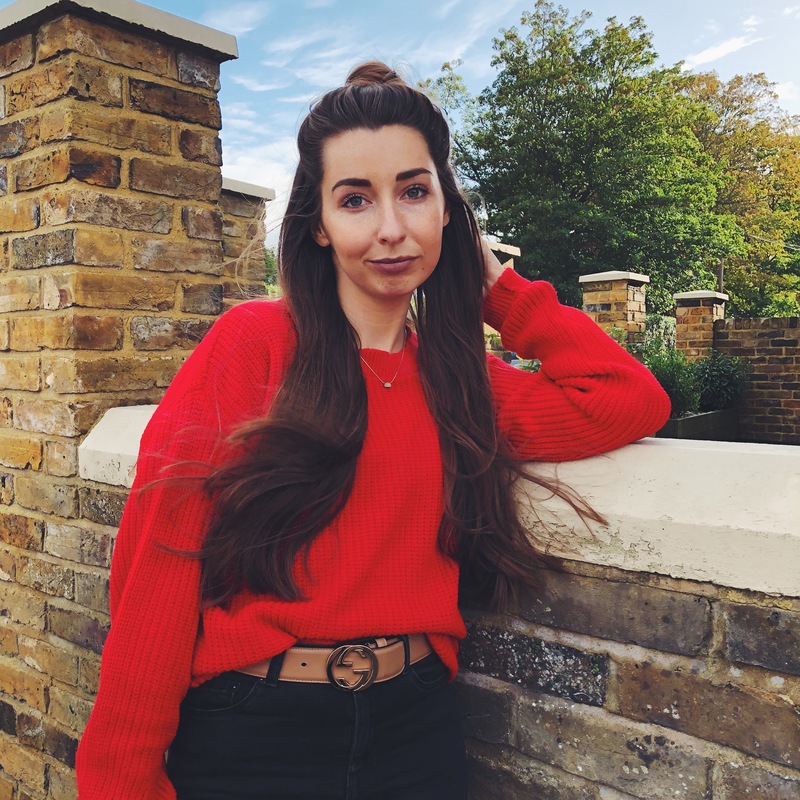 Boohoo Red Knit Jumper, £12, shop here. In my pictures I am wearing the BOOHOO Knit above. It comes in sizes S/M or M/L so has a naturally slouchy fit and I love it! For £12 it’s pretty incredible! 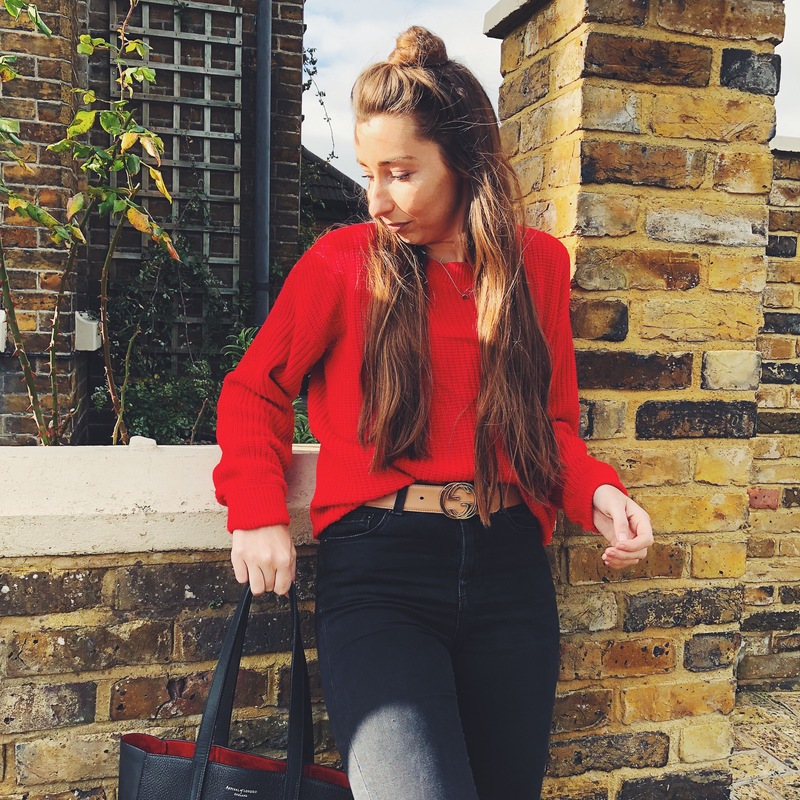 The thing I love so much about Red right now is it’s just so seasonal. The leaves are red, Christmas is all about red and so it just fits fall perfectly. Style your knit with jeans, a Check Blazer and ankle boots or with a black leather skirt. 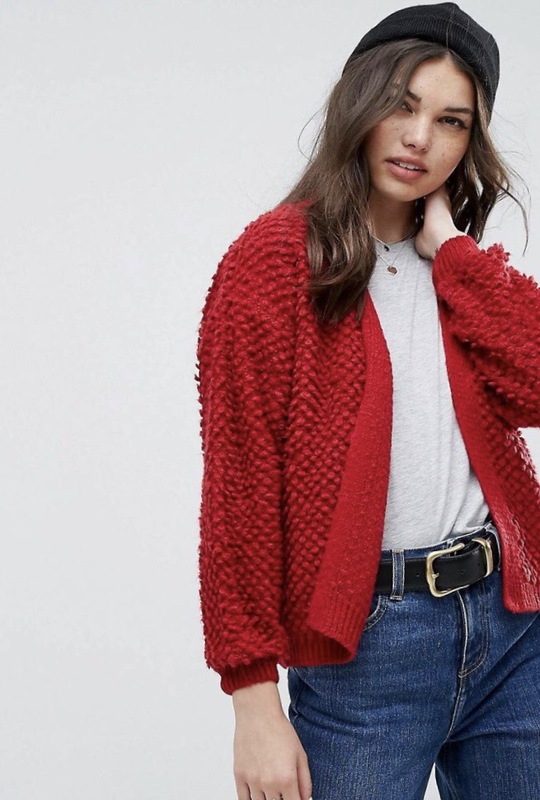 Whatever the occasion, the red knit fits! 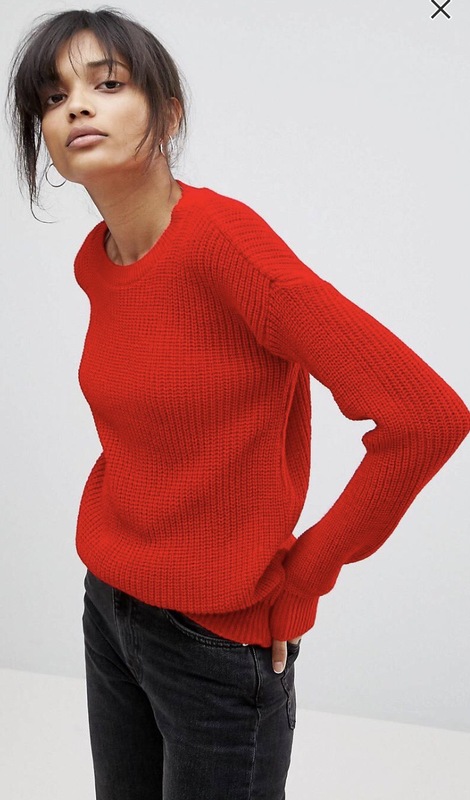 Do you love a red knit? Let me know in the comments below!